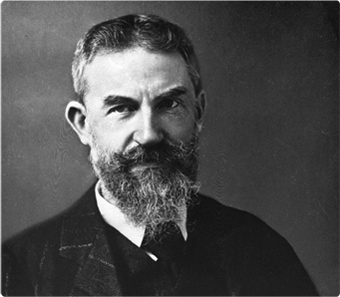 George Bernard Shaw, dramatist and a leading figure in 20th century theatre, was born in Dublin on July 26, 1856. He was man of many causes, among them, defender of women’s rights and advocate for equality of income and the equitable division of land. He supported radical change in the voting system, the ending of censorship and subsidizing of national theatre. He also campaigned for the simplification of spelling, reform of the English alphabet and was a strong advocate of ‘healthy-living’. His skill as a platform speaker made him one of the most sought-after orators in England. Shaw was born into genteel poverty to an alcoholic father and a musically gifted mother. Largely self-taught, his formal education was patchy. He hated school and compared them to prisons for the young (athough he later would become a founder of the London School of Economics). At age 15 he left school to start work as a junior clerk in a Dublin estate agency. In 1872 Shaw’s mother left his father and moved to London. Shaw left Dublin to join his mother and sister in London when he was twenty years old – he would not return to Ireland for 30 years. He educated himself at the British Museum. Over the next seven years Shaw wrote five novels, none of them were accepted for publication. Eventually he found success in journalism contributing to the Pall Mall Gazette where he wrote on many social aspects of the day. His prolific output included writing music, drama, theatre and art reviews. In 1893 Shaw collaborated with Keir Hardie in writing a program for the new Independent Labour party. He entered local government in 1897. Shaw was co-founder of the London School of Economics; he launched the petition against the imprisonment of Oscar Wilde and he opposed the execution of Roger Casement. 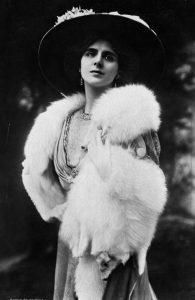 Shaw met Irish heiress and fellow fabian, Charlotte Payne-Townshend in 1896. Very taken with Charlotte, he wrote in a letter: “Instead of going to bed at ten, we go out and stroll about among the trees for a while. She, being also Irish, does not succumb to my arts as the unsuspecting and literal Englishwoman does; but we get on together all the better, repairing bicycles, talking philosophy and religion… or, when we are in a mischievous or sentimental humour, philandering shamelessly and outrageously.” Charlotte proposed marriage in July 1897. At first Shaw rejected the idea, but after nursing him through an illness they married and settled in Hertfordshire, England. Shaw’s popularity suffered a blow in 1914 when he suggested in his essay, Common Sense about the War, that soldiers might be wise to shoot their officers. However he regained favour and acceptance in a revival of Arms and the Man (1919) and Saint Joan (1924). 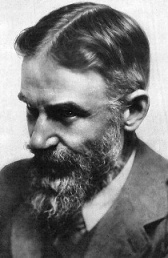 In 1925, Shaw was awarded the Nobel Prize for Literature. Although reluctant to accept the honour and he accepted at the behest of his wife while refusing the money. In 1938 he won an Oscar for Pygmalion – best screenplay. 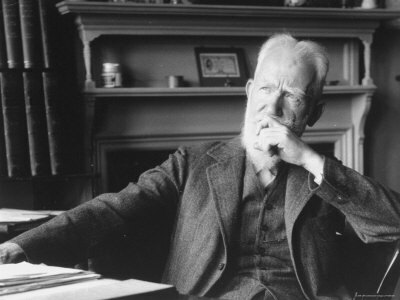 George Bernard Shaw continued to work into his 90s. He died on 2 November 1950 from injuries he incurred from a fall while pruning an apple tree at his home. His estate and royalties are divided among the National Gallery of Ireland, the British Museum and the Royal Academy of Dramatic Arts.